Labor Day Weekend at the Lake of the Ozarks! Time to embrace this beautiful hot weather and jump back out on the water for one last summer extravaganza. This great video by Lake TV provides an overview of all the fun happenings at the Lake this weekend. 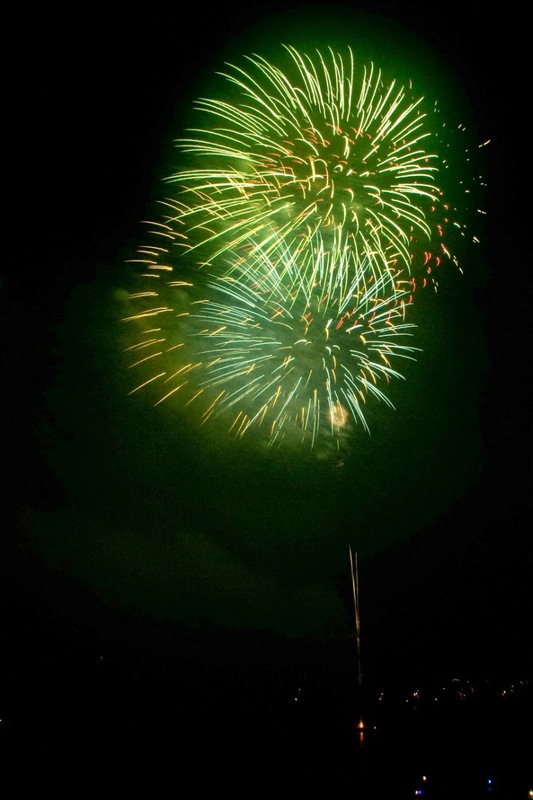 All of us at Fran Campbell Team are very excited for the upcoming events this holiday weekend - especially the fireworks! Labor Day Fireworks Displays Whether you're looking for a strategy for entertaining your kiddos or a romantic night out with your special someone, fireworks are always a great option! This year, three main locations around the Lake of the Ozarks will be hosting fireworks displays this weekend. Whether you're a first-time home buyer or a seasoned professional at this point, your future mortgage payment is going to be one of your top concerns. The mortgage payment is the monthly payment homeowners make, which goes towards the principle and the interest of their home loans. If you're considering buying a home at the Lake of the Ozarks, you should begin to educate yourself on some of the factors that influence your mortgage payment. Buying a home is undoubtedly one of the biggest decisions you'll make in your lifetime. It requires significant financial responsibility, but it enables you to invest in your future. 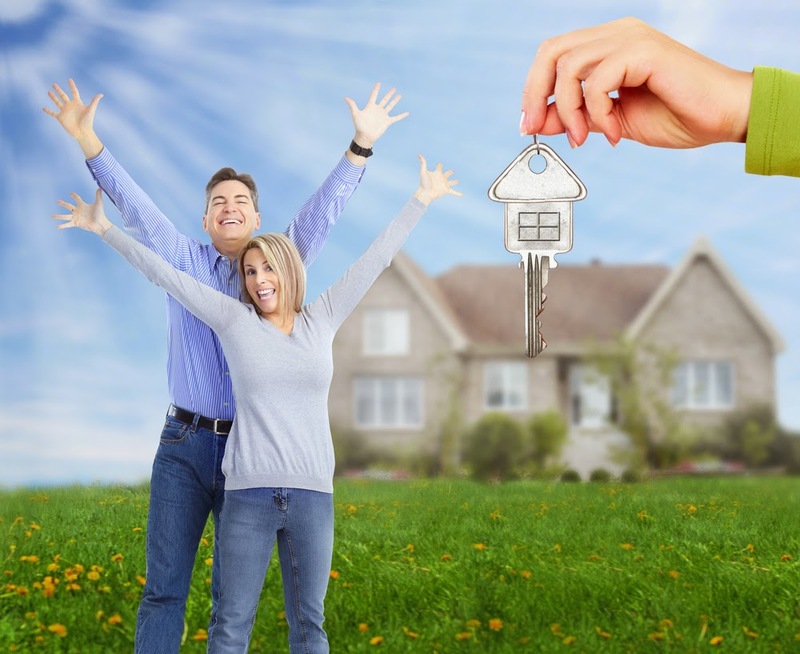 Owning your own home can deliver countless rewards not only financially, but also mentally and emotionally. 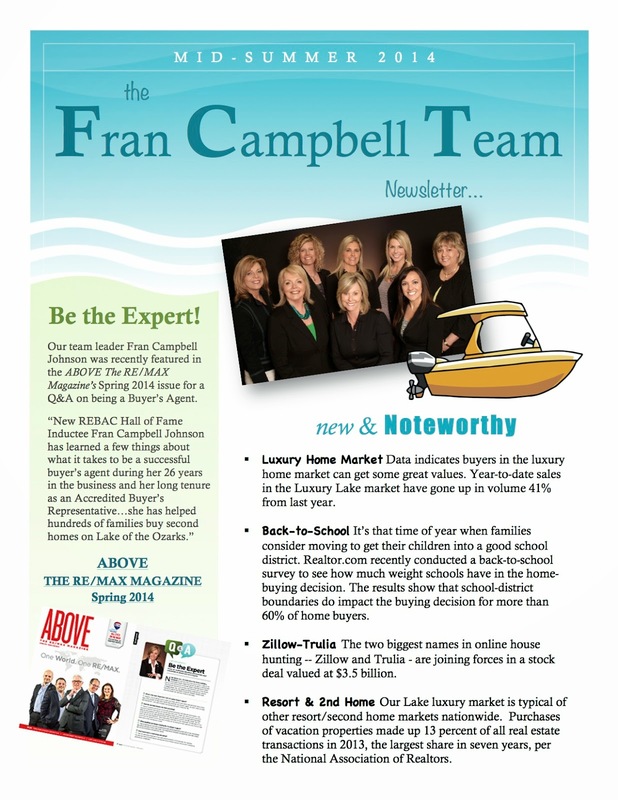 Fortunately for all the prospective home buyers out there, the real estate market is in prime position for buying - especially at the Lake of the Ozarks! Mortgage Rates Are Still LowBut they are rising! Keeping Current Matters wrote an excellent article describing how even a slight difference in the interest rate can have a dramatic impact on your wallet. Once you add in the steady appreciation of houses due to inflation, the exact same house could end up costing almost $500 more per month in only one year's time. Prices and mortgage rates are projected to continue rising, so you may be better off making your purchase sooner than later! Paint Your Home Like A Pro! Looking for a cost-effective way to give your home a totally new look? Painting your home yourself can be a great way to freshen up your home without spending a lot of money. Repainting your own home is a daunting prospect to some people, but you might be surprised how easy it actually is! Fran Campbell Team is here to help with these home painting tips, tricks, and insights. Preparation As the old saying goes, "An ounce of prevention is worth a pound of cure." 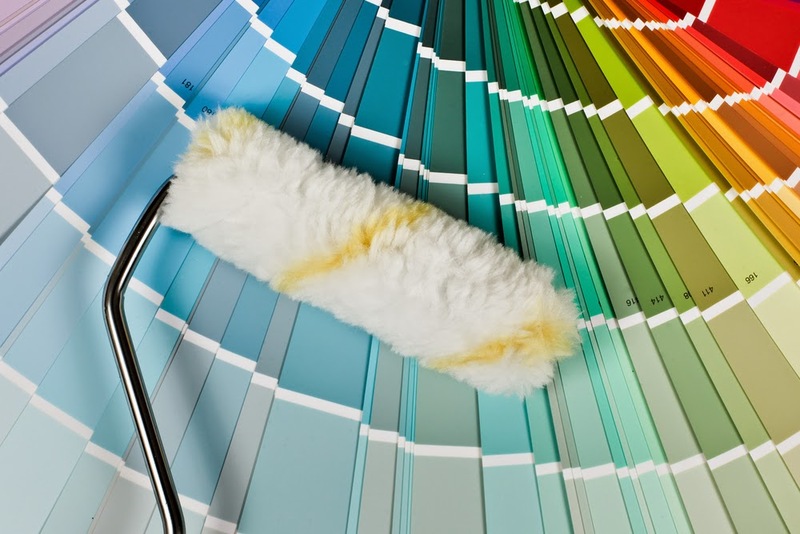 Most of the time you spend painting your home should be spent on prepration. Fill in all the holes with spackle and brush a small layer of the new paint over it. This will help hide the spackle when you paint the whole wall later. Make sure you thoroughly clean your walls before painting; dust and debris will prevent paint from sticking.